It’s 1932 and 27-year-old Jessica is living London life to the full when her younger brother Tim, an ancient Egyptian archaeology expert goes missing. Teaming up with Sir Montague Chamford – who can resist neither a damsel in distree nor the chance of adventure – Jessie vows to find her beloved brother. Following the clues that Tim has left in his wake, Jessie and Monty head to Egypt. 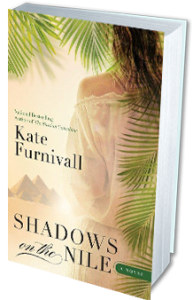 In the relentless heat of the desert, romance is kindled, but danger lurks in every shadow, and a figure from the past comes back into Jessie’s life. Then Jessie starts to wonder how much Monty really knows about her brother’s disappoearance. A dramatic story of adventure, excitement and a love that reaches from the past.